-I leave the sleeping beauties, uh, sleeping and I take the 6 from Spring Street to 86th Street. I pause for a little refreshment at Dean & Deulca. Mmm, hazelnut donut! A man strikes up a conversation with me as I sip my tea at the counter. When I mention that "I'm not from around here", he spits back "Yes, obviously!" so quickly that even now, I'm wondering what the big giveaway was. My accent? My tweed jacket? 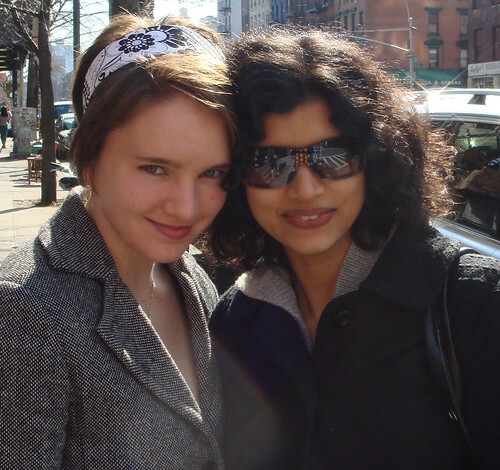 My wide-eyed naivete and willingness to talk to strangers? 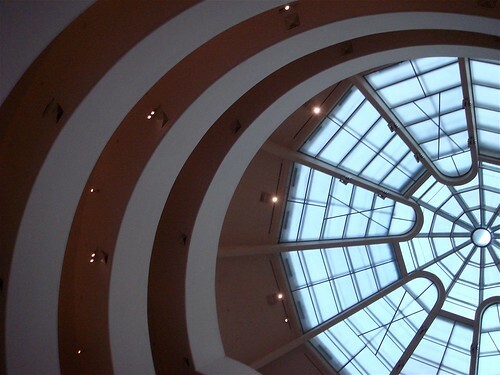 -I head over to the Guggenheim. 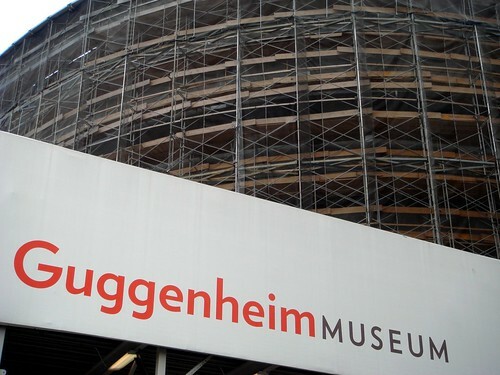 The iconic facade is covered in scaffolding, but the interior is still very cool to see. Because I'm lazy and backward, I take the elevator up to the 6th floor and view the spiraled gallery from the top down, instead of from the bottom up as is intended. -Later, the three of us walk a long way up 1st Avenue, which I enjoy quite a lot for the 'normal city' atmosphere. -I'm feelin' hungry so I attempt to buy a simple bagel for a snack. I end up with a massive turkey and mozzarella sandwich that's larger than my head. To me, the sandwich represents New York City: everything is so much bigger than necessary. 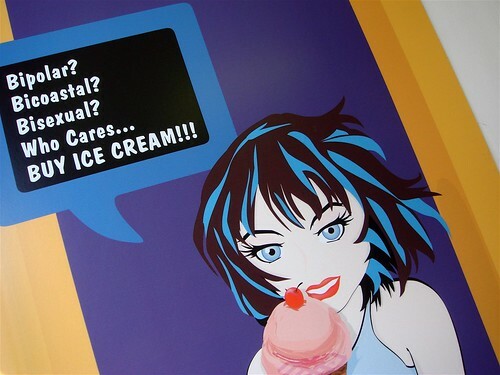 -We walk around a little more: Noho, East Village, Lower East Side, Tompkins Square, ice cream! -Time to head to the airport. Two of us split a bottle of farewell champagne which is a good thing because it leaves me unconcerned about my delayed flight home.